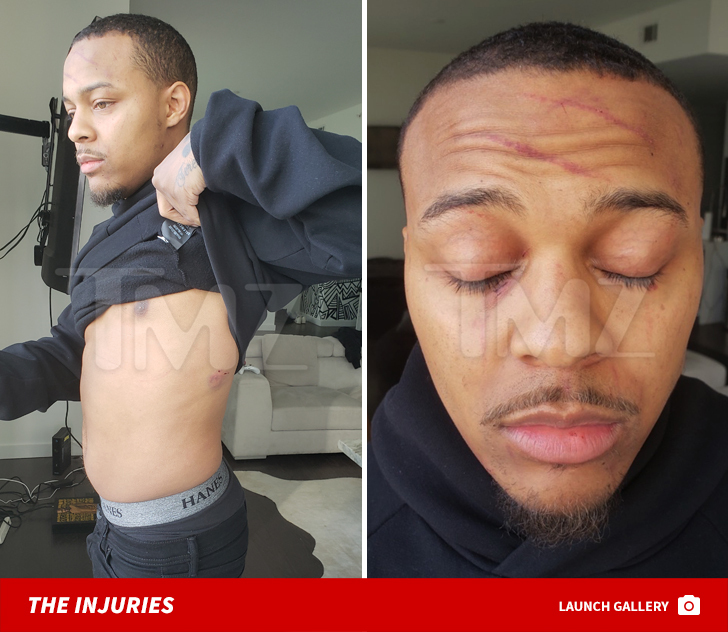 We’ve just obtained photos of the injuries Bow Wow says he sustained at the hands of his girlfriend — before they both got arrested — and they include some deep bite marks. A source close to the situation tells TMZ … Bow Wow is still recovering the knock-down,drag-outt fight he and Leslie Holden got into last weekend in Atlanta. We already knew from his mug shot that Bow Wow’s face was scratched to hell … but now we can see what looks like at least one nasty bite, and several scratches on his torso. As we reported … Bow Wow was arrested in Atlanta early Saturday morning for allegedly hitting Leslie, and she was also arrested for allegedly striking him. We broke the story … in 911 audio released from the incident, Leslie claims Bow Wow hit her multiple times, took her phone and refused to let her out of a bedroom in their apartment. Bow Wow and Leslie were both charged with misdemeanor battery.